How is its purpose being fulfilled? 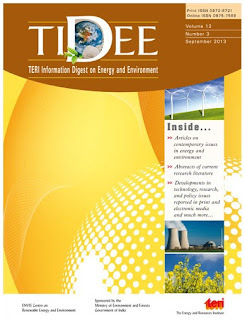 TIDEE (TERI Information Digest on Energy and Environment) aims to keep policy makers, scientists, and technologists abreast of the latest developments in the fields of energy, local and global environment, and sustainable development. 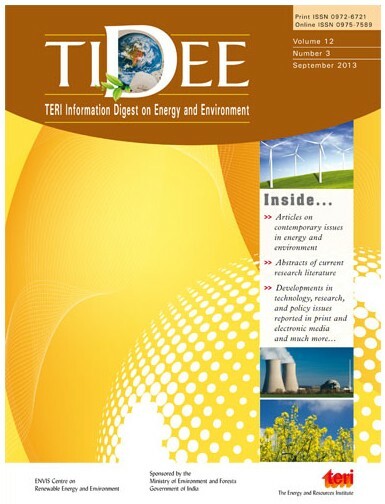 Each issue of TIDEE contains a few articles, about 250 abstracts, a few news briefs and digests of websites, and announcements of conferences, patents, standards, government notifications, and so on. The project team of TIDEE is guided by a distinguished editorial board chosen to represent conventional and non conventional energy sources, local and global environmental issues, and broad issues of sustainable development. Besides, the project team is also guided by experts in information science and publishing.